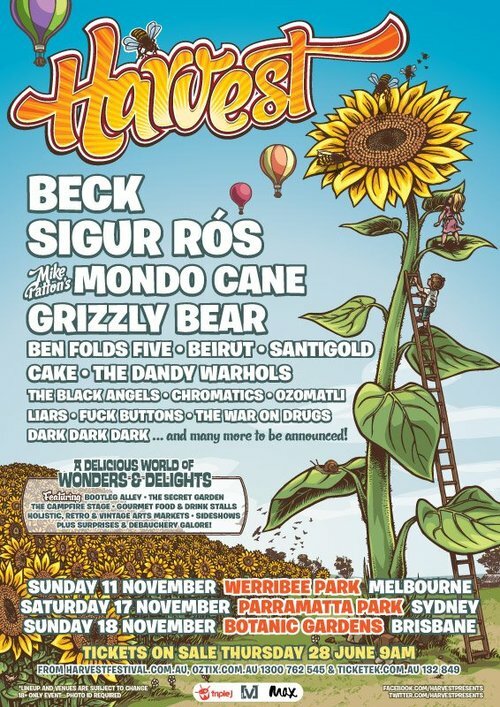 Beck hits the Harvest Festival in Sydney, the 3rd of 4 Harvest nights in Australia during the fall of 2012. Beck also made up a short song about a New Year's Eve he had spent in Australia many years earlier, and seeing a woman throwing up on the beach. It was called something like "Lonesome Bondi New Year's Eve" song.